Once innovation within a business takes hold, a domino effect of change often ensues. When Promolding, a Dutch specialist in global design, engineering and manufacturing of high-tech plastic parts and components, ran up against customer requests for more complex products and faster turnaround, they realized the need to look outside traditional prototyping. Promolding specializes in creating high-tech plastic parts and components using high-performance polymer-based solutions for a range of market leaders, including Airbus and Heineken. Ensuring uncompromised quality and efficiency, especially in the early development stages, has been instrumental to the company’s success but customer needs weren’t static. Serving the medical, aerospace and high-tech systems industries, Promolding, located in The Hague, Netherlands, realized additive manufacturing had the means to not only reduce lead times but add much-needed flexibility for rapid iteration during the design stage. Since then, not only has 3D printing advanced their immediate product development needs, but it has gone on to move them into a new territory traditional manufacturing hadn’t even allowed them to imagine. Once clear on the benefits of the technology, Promolding purchased a Stratasys Connex3™ 3D Printer to facilitate their in-house prototyping applications. “Particularly with bigger and more complex product developments, it’s beneficial to be as quick and efficient as possible in the early development stages,” said Jeroen Gross, manager product development, Promolding. One of the company’s early successes with 3D printing came with Tigerfix, a glue solution for mounting bathroom accessories to walls without screws. Promolding 3D printed a glue cartridge to fit inside the metal plate, enabling the flow of glue to the individual parts of the mount. “The ability to print such a high resolution enables us to produce superior quality prototypes that closely match the final manufactured product,” said Gross. The next stage in Promolding’s 3D evolution came when product developers began to wonder if they couldn’t disrupt manufacturing altogether by 3D printing injection molds. 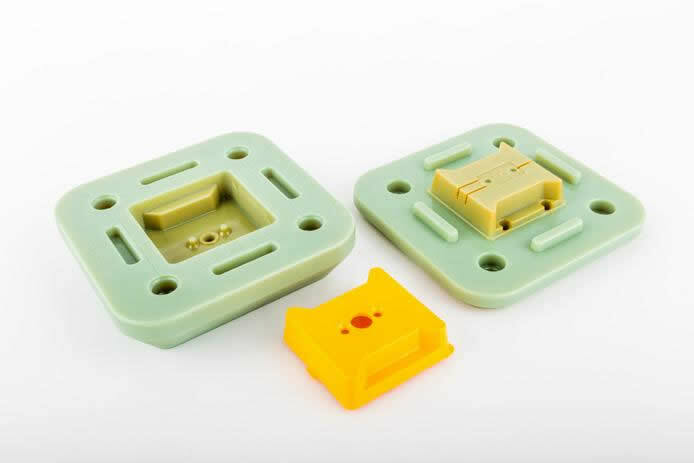 This provided the company the opportunity to offer its clients a whole new service, the rapid development of injection molds for final product validation or further concept development. “Traditionally, injection mold development takes six weeks, but by designing and 3D printing the molds in-house, we were able to produce complex versions in just three days,” said Gross. This venture resulted in a lead-time savings of 93% over traditional molding for the company. Promolding went on to develop fiber-optic sensor housings for Fugro, a world leader in integrated geotechnical, survey, subsea and geoscience services, which they were able to complete in a matter of days. 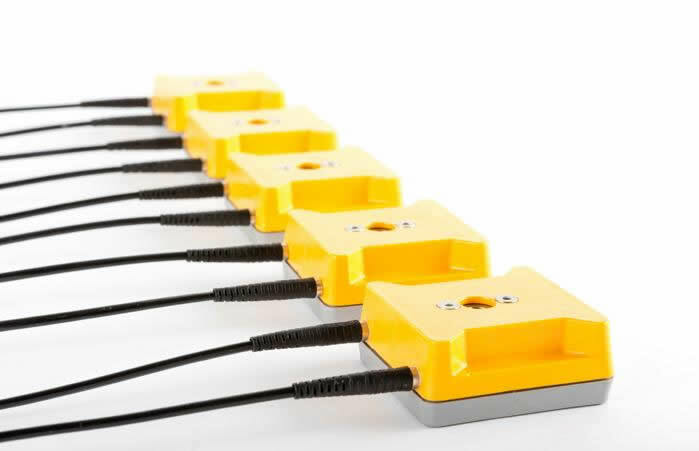 Using one 3D printed mold of the complex, sensitive sensors, the team produced over 50 samples of the sensor housing in a number of final product materials. The Connex3 boasts the widest range of material properties for its class, from rigid to flexible, transparent to opaque, neutral to vibrant, standard to bio-compatible and durable to high temperature. Using a Stratasys Connex3 3D Printer you can build an injection, blow, or silicone mold within a few hours, compared to days with traditional methods. A 3D printed mold can be used to evaluate mold and part designs or produce low volumes of end use parts. The use of 3D printed molds allows manufacturers the ability to take functional testing to a new level, by creating product prototypes from the same process and materials that will be used to create the final product.